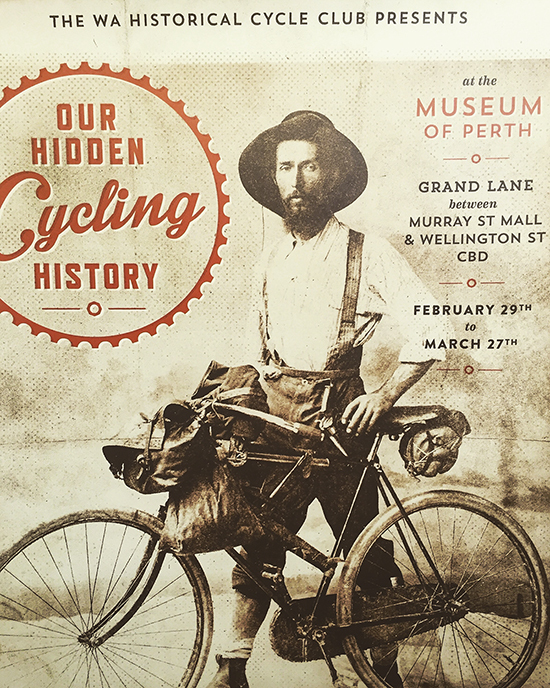 What a fun project – working with my good friends Rob Frith & the WA Historical Cycling Club to design the visuals for the recent exhibition of rare historic bikes at the Museum of Perth. Who knew a Coolgardie bicycle courier in the 1930s would cycle 200km a day, over rutted tracks, just to deliver a telegram? or that a fellow named Kenneth Bugden had a sassy fishnet-stockinged wife who almost incinerated his shop, along with his rare Penny Farthing?